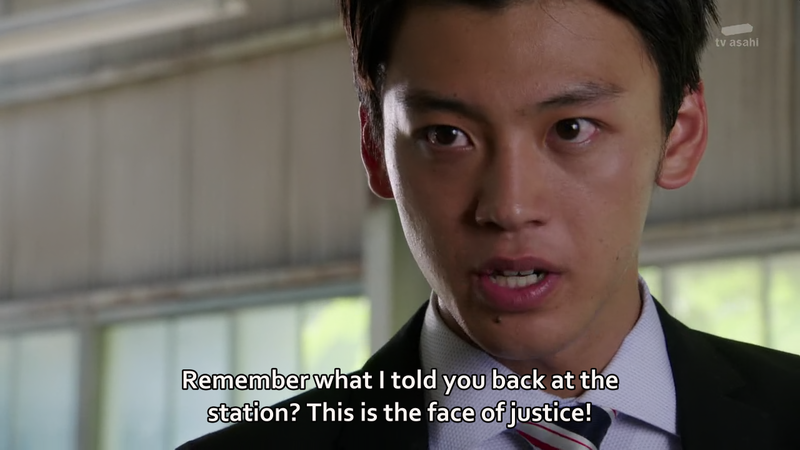 KITsubs: Kamen Rider Drive episodes 3 and 4! Kamen Rider Drive episodes 3 and 4! Just in time for Halloween! A spooky two-parter about a haunted art studio. Beautiful women are going missing one by one, and their ghosts are being seen surrounding the studio of an eccentric painter. Meanwhile, Tomari and Kiriko face their own ghosts. A Roidmude from Kiriko's past may have returned... Meanwhile, Tomari must face the Grim Reaper... Machine Chaser! Jeeg here. I was away from home for work this week, hence the lack of release posts. However, these episodes were available on their respective Sunday release dates at Over-Time! If you're ever wondering where this week's Drive episode is, go check over there. Now stay tuned for Stronger episode 39, the finale, coming this week! Kamen Rider Drive episode 02! Kamen Rider Stronger episode 38! New Joint Project: Kamen Rider Drive 01!